Solar energy has very, very broad support. As I wrote last month, you, your family, your friends, and even your “enemies” love solar. Clearly, most of these people are not solar energy experts and are not aware of all the details of solar energy advantages and disadvantages. Most probably just assume that solar energy is better because there aren’t smokestacks mounted onto solar panels to channel pollution high into the sky. The fact that the sun rises every day probably doesn’t hurt either, nor that most of us love the sun. But if you’re popping in here to learn more about the advantages and disadvantages of solar energy, you probably want more details and the summary of an expert. And that’s just what I’ll provide. Interestingly, one of the key things that most people think is a disadvantage of solar (hint: $$), is actually an advantage! No criticism at all to those who think solar power is expensive. Just a handful of years ago, it was. In 1977, the price of solar panels was about 100 times more than today. In 2000, the average price of solar panels was about twice as high as it is today. Even in 2008, the price of solar panels was about 80% higher than today. So, yes, it sort of a new thing that solar panels are so cheap. How much does solar power cost? Follow that link and you can find the average for each state in the US for the year 2011 — the average for those who went solar. But you’ll also find out something much more interesting. You’ll find out, for each state, how much money the average electricity savings are per month for people who went solar in 2011, the average amount of money that would be saved after 20 years, and the average number of years before a solar power system should be paid back. As we are keen to note, the average 20-year savings across the US were found to be over $20,000, with savings in some of the most populous states being over $30,000, and savings in Hawaii being over $60,000. Furthermore, while there are clear benefits to buying your own solar power system, about 75% of people with the choice now go solar by leasing solar power systems. One of the key advantages of such an approach is that you can start saving money from Day 1. Yes, really. Leases for $0 down or close to $0 down let you start making money off your electricity bill savings immediately. I can certainly see the appeal. The green power assumption is true. Clearly, we need to make some massive changes in order to keep from baking our planet and, thus, baking the human species (and many others) to death. Electricity is one of the key things we need to clean up. And solar power is one of the top options for doing so. The below graphic from a study by Nathan Myhrvold and Ken Caldeira is one of my favorites for portraying that point. In case the text isn’t clear, the graphs show projections for additional average global temperature increase within the next 100 years in a transition from coal technology to 8 alternative power-generation technologies. A related key environmental issue of our day is access to clean water. We’re already struggling with this in many places around the globe, but the issue is going to get more and more difficult. One of the well known consequences of global warming is an increasing occurrence and severity of droughts in many regions, such as the US West, Southwest, and Great Plains. There’s even a 50% chance the Colorado River will dry up by 2057. What you may not know is that coal and nuclear power plants use a ton of water, and natural gas power plants also use a lot of water. Another wonderful piece of information about solar power is that it uses hardly any water at all. A study from the Virginia Water Resources Research Center has found that solar PV uses about 21 times less water than nuclear power (per kilowatt-hour of electricity produced), about 16 times less water than coal power, and about 8 times less water than a combined cycle power plant. The possibility of much greater energy security is a major advantage of solar power that many people are not aware of. However, our military is. The US military has researched the matter and come to the conclusion that solar power, because of how widely distributed it is, combined with microgrids (which can be disconnected from the larger electricity grid network if they are compromised) provide the most secure electricity. And it’s clear from simple logic that it’s much harder to bomb or otherwise take out millions upon millions of rooftop solar power systems than it is to do so with one or two large power plants. Solar power isn’t just good for our finances. It’s also good for creating jobs and stimulating the economy. 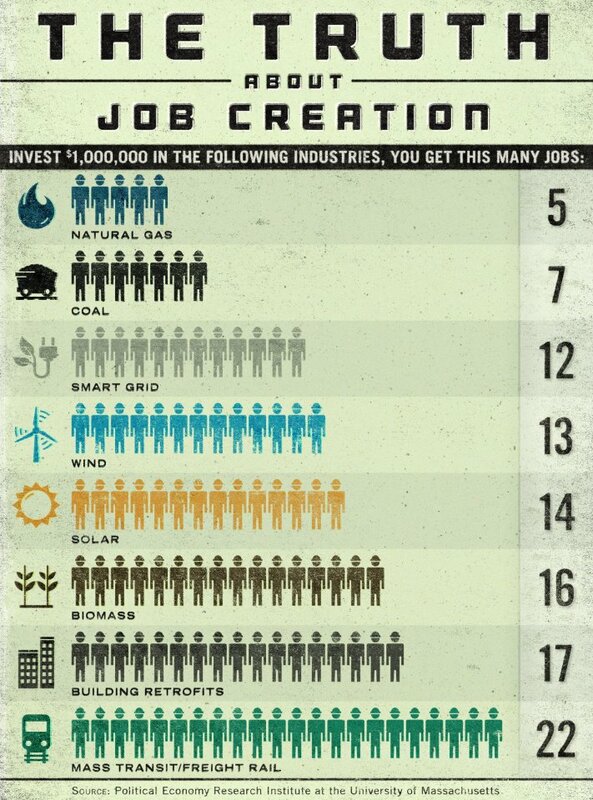 A recent study from the Political Economy Research Institute at the University of Massachusetts found that for every $1 million invested in the solar energy industry, you get about 14 jobs, compared to 13 jobs in the wind energy industry, 7 jobs in the coal industry, and 5 jobs in the natural gas industry. Looks like the winner is again solar (though, biomass actually takes the top spot in this category amongst energy sources). The cost of producing electricity isn’t the same at all hours. Electricity supply and demand must match in order for the grid to not go down. As such, a variety of energy sources are used to create electricity for the grid. If just one source were used, there would be more long-term risk. Some sources of power provide electricity rather continuously in order to keep our base electricity needs met. But as electricity demand increase (for example, every day when people wake up and start using electrical devices and lights), other sources of energy must be used. In most places, the most electricity is needed in the afternoon and early evening. At that time, electricity on the wholesale market is most expensive because there are the smallest number of suppliers available and the least competition. However, this coincides almost perfectly with the time of day when the most sun is out and solar energy systems are most effective. So, the electricity generated from solar energy systems is actually much more valuable than electricity on average. Furthermore, it’s worth noting that air conditioning is actually the largest individual source of electricity use in the US. Air conditioning is most needed when the sun is shining bright and it is getting super hot, just when solar panels are most effective. To be honest, I’ve been racking my brains for a couple days trying to think of some real solar energy disadvantages. Of course, there are many myths out there regarding the disadvantages of solar. But they are just that — myths. The closest thing to a disadvantage of solar is probably the cliche “the sun doesn’t shine all the time” issue. It’s true, the sun doesn’t shine all the time. If it did, we could certainly run the world on solar power. (Of course, such a world wouldn’t be inhabitable.) But no electricity source is always available. And as I’ve shown previously, solar energy potential dwarfs the energy potential of any other source (I guess this should also be in the solar energy advantages section). Is the fact that clouds sometimes get in the way of the sun a real issue for utilities? Is “intermittency” a notable disadvantage of solar energy? Three utility company CEOs and presidents very clearly say “no” in this utility company CEO/President roundtable discussion. What does that leave us with? Not much. Sure, the creation of solar panels does create some pollution. But the only other options are basically energy sources that create much more pollution (except in the case of wind turbines and quite expensive marine energy technologies) or cutting our energy use (which is always recommended). Sure, solar panels do cost money, but they are still cheaper than electricity from the grid. Sure, solar panels don’t last forever, but several studies have found that even old solar panels that are over 30 years old are still pumping out almost as much electricity as they were when they were first installed. I’ve spent years writing about renewable energy. That has included reading and responding to comments from cynics. Yet, not a single true solar energy disadvantage is coming to mind. So, the final score for solar energy advantages and disadvantages comes to: 8-0. 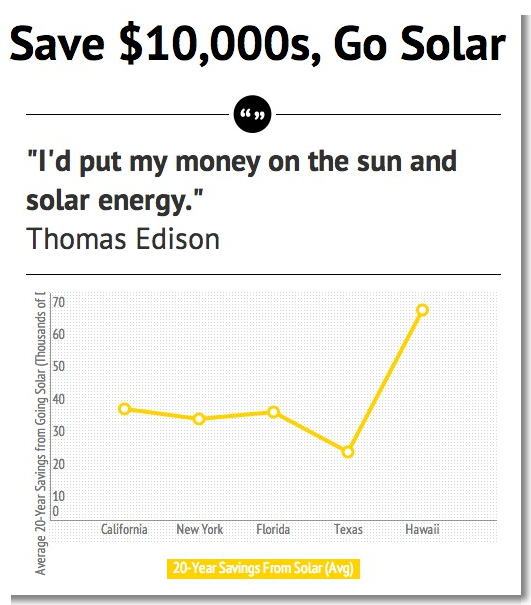 In other words, get a solar quote and go solar if you can!